. 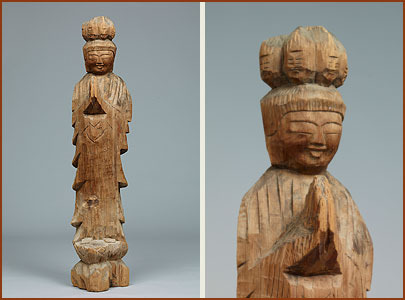 roku Kannon 六観音 six Kannon for six realms . Kengamine 剣ケ峰 is tallest point in Mount Norikura. Mount Norikura (乗鞍岳 Norikura-dake) is a potentially active volcano located on the borders of Gifu and Nagano prefectures in Japan. 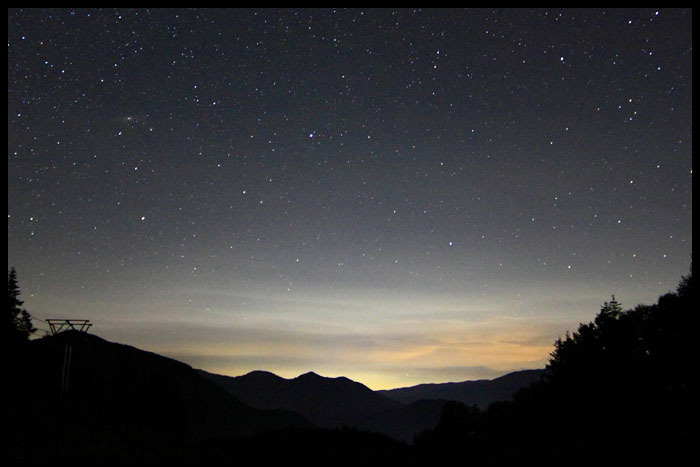 It is part of the Hida Mountains and is listed among the 100 Famous Japanese Mountains. The mountain is located on the borders of Gifu and Nagano prefectures in Chūbu-Sangaku National Park.The Norikura Plateau borders the mountain on its northern side in Nagano Prefecture. The mountain, whose name means "riding saddle," received its name because its shape looks like a horse saddle. It is known for being the easiest to climb among the mountains in Japan that are above 3000-meters. 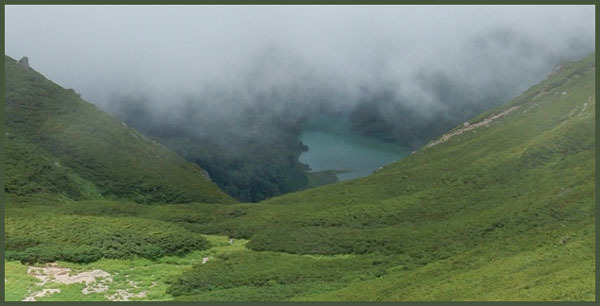 Mount Norikura-dake has a gentle slope and the huge plateau at the foot is dotted with dynamic waterfalls and seven crater lakes and ponds (ike 池). 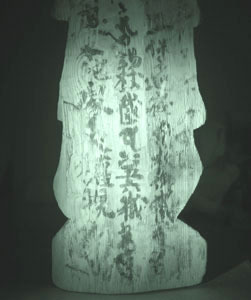 1680's - It is said that Enkū (Enku　円空) was the first to reach the peak. 1878 - Englishman William Gowland became the first non-Japanese man to reach the peak. 1892 - Englishman Walter Weston climbed on the peak. December 4, 1934 - This area was specified to the Chūbu-Sangaku National Park. 1973 - Norikura Skyline to the vicinity of the top of a mountain was opened. It is the road that exists in the highest place in Japan. he appeased a Yokai monster and banned it to the peak of 魔王岳 Mao-Dake (Mount Demon). 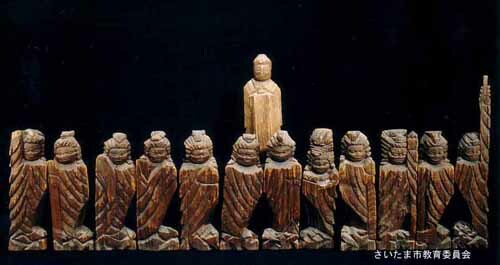 He carved 1000 Buddha statues and one of 山彦（山の神） Yamabiko, the Deity of the Mountain, placed them into the bottom of the pond and thus appeased the Mountain Deities and Monsters. 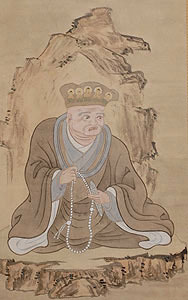 The names 魔王岳 Mao-Dake and 摩利支天岳 Marishiten-Dake were given to the mountain peaks by Enku. The master of the pond Oonyuu ike 大丹生池 (おおにゆゅういけ) Onyu-Ike was in fact a huge serpent 大蛇 and some people had indeed seen it. When some of its family members moved out, there was always flooding of the river 高原川 Takaharagawa and people were quite afraid to talk about it. 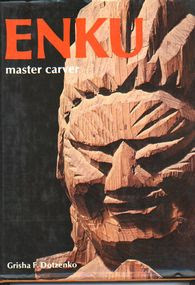 When Enku passed here he carved a Buddha Statue and offered it to the river to appease the serpent deity. Legends about Enku　円空と伝説　.
. Maeda Fura 前田普羅 (1884～1954) .
. . . 頂上六仏の峯は「乗鞍岳・穂高岳・笠ヶ岳・焼岳・錫杖岳・双六岳」 . . .